Malaysia Airlines has banned babies from first-class sections of its Boeing 747-400 jets. It also plans to do the same in its yet-to-be-delivered Airbus A380 superjumbo jets, according to the Australian Business Traveller. 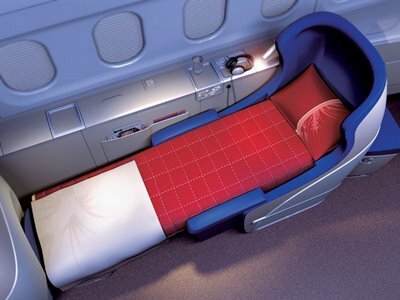 I can understand paying for your first class (business class as well) ticket with the intent to get some rest during a long haul flight. Screaming kiddies will definitely hinder your attempt at shut-eye. But at the same time, a baby banning policy could be seen as discrimination. What are your thoughts?